Trevor: I didn't do it. Me: The last day to turn it in was yesterday. Me: Why didn't you do it? Trevor: I didn't want to. Me: Are you going to do it? Me: You know that means a zero. Me: That will kill your average. Me: I'm going to call your mom. 1. All students care about grades. 2. The threat of a low grade will motivate a student. 3. An actual low grade will turn a student around and change his or her behavior. 4. If I do not give a zero for a missing assignment, a student will get away with something. 5. It is my job to teach responsibility by giving steep consequences for not turning in work. #1 By giving a zero for a missing assignment, a teacher is grading behavior, not skills or content knowledge. Is the zero a grade for rebellion? Non-compliance? If so, it should be a 100, right? The student has that skill set down. #2 A zero skews a student's average and gives an inaccurate picture of student understanding. If five standards-based assignments are given by the teacher, and the student scores 100 on four of them and 80 on the fifth, the student's average is 96. If the student fails to do the fifth assignment and gets a zero, the average is 80. This student is demonstrating mastery on four of the five assignments, yet the average would indicate borderline proficiency. #3 It is almost impossible to recover from a zero. If a student cannot redeem the score on one assignment, he or she will be playing catch up for the remainder of the grading period. The last thing you want in your classroom is a student who feels doomed. #4 The teacher never gets to assess the skill. A zero means It's over. I've had MANY students over the years take a zero instead of speaking in front of the class. Instead of challenging that student, modifying the assignment, offering a different audience, or providing a different opportunity to face a major fear, I gave a zero. #5 A zero hurts the relationship. We all know that getting a teenager to do anything is an intricate, complex dance that involves subtle moves, gentle challenges, a little sweat, and a lot of heavy lifting. A zero throws your partner off the dance floor. So now what? It's simple: Require the work. My last four years in the classroom, I spent the first few weeks of school eating lunch in my room with students who did not have their homework. It wasn't fun; it was work time. They brought their lunch or went to the cafeteria first, and I provided a note for them to get back up to my classroom. Nobody wanted to be stuck eating lunch with me. They had to watch me eat tofu and asparagus while they say beside me at my desk and worked on the task. It didn't involve after-school time, so parents didn't squawk. Teachers who had lunch duty got a heads up to let students come upstairs. Kids HATED it. At my school, students were allowed to use their cell phones at lunch. Lunch was the time they did their homework for afternoon classes. It was social time. Oh, and the upperclassmen who got to leave campus for lunch! The pain of it all! Instead of giving zeros, I took away what they loved most: time with friends. The first month of school was torture for them and for me. I needed the down time as much as they did. However, once students realized what I was doing, they started turning in more work. By second semester, students had passed the word to my next group of students: Just do it the first time she assigns it. It wasn't a perfect plan. I had social misfits who chose not to turn in assignments just so they could avoid the cafeteria. There were some students who wouldn't do homework no matter what. There were many, however, who saw the light and got the message. The message was this: I need to know what you know. 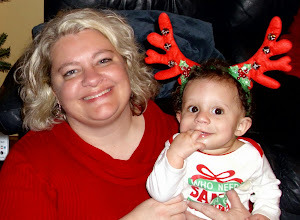 Thank you, Angie--this is a great list, a great idea, and so, so true! I love this idea! My only question is how you get them to come back for lunch if they are the kid who won't work in class? Lunch tutorial usually ends up being a consequence of not doing homework. At my last school, I had a lot of admin and co-worker support, so my peers would send the kids to me once they got their lunch. Just before lunch started, I would shoot an email to the folks who had lunch duty to give everyone a heads up. I can only remember two or three hardheaded ones who fought the lunch thing, so they ended up with me EARLY in the morning. Fate worse than death. This approach is a school culture thing. If teachers are rolling their eyes behind your back (I'm picturing this now), or parents are shrieking about it, you might have issues. Janice, this concept was foreign to me until I learned of it from a fantastic teacher when I was a curriculum coach. She made it work with freshmen! I will respectfully disagree. I do give students a chance to make up work they turned in, and provide classroom support, so that the zero will change to something else. But I believe that the initial zero is a must. If students do not do the work, they should initially earn a zero. This is a good life lesson. If I do not pay my landlord, my landlord has now collected zero dollars from me, and I owe her money. Choosing not to do something should exact a consequence. And your article is not suggesting no zeroes, rather it is rallying against a permanent zero. 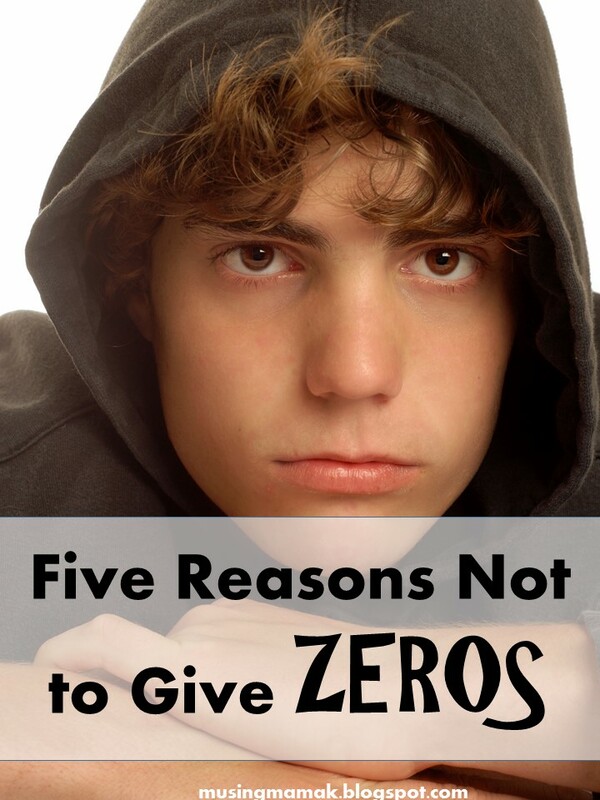 Perhaps a more accurate title would to reflect your intent would be "Five Reasons For Helping Students Move Beyond a Zero." One more soul-searching question: At what point is it part of our job to help students learn that a deadline is a deadline, and there are times in life when missing a deadline means the door has closed? Cheers to you for holding students to high ACADEMIC standards. Lynn, I think you make great points. I teach sophomores and juniors for the most part, and I have decided that my first job is to teach them skills and processes. I can't do that if I don't have the work, and a zero communicates that it's over, that they can have that consequence and just move on. Secondary to that is character education. My last two principals had a "This student will not fail" mentality, so giving zeros wasn't really even an option for us. You make a good argument for renaming the article! I give zeros all the time in senior English. You can recover from a zero and if you don't do the work, how in the world can I possibly know if you're capable of doing it? If I work a pay by the hour job and I don't go to work, my paycheck is ZERO. Let's advocate for responsibility and accountability.